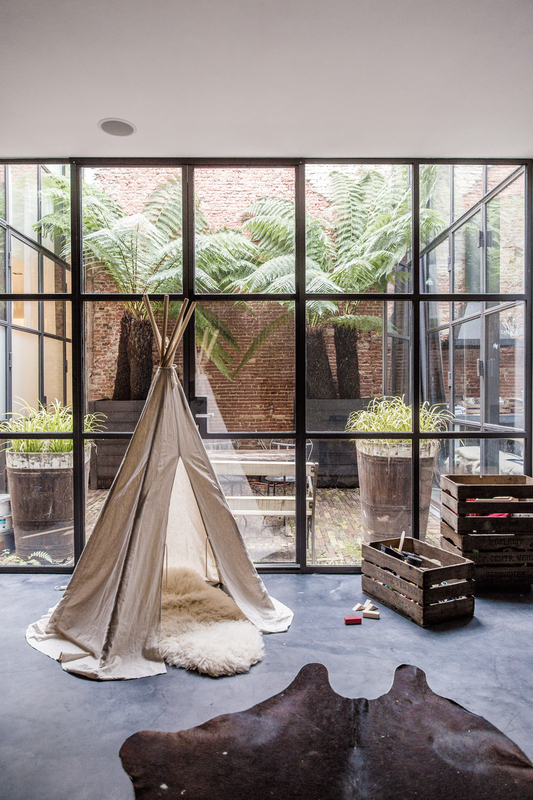 This incredible former warehouse in Amsterdam is the home of a childrens wear designer (Gray Label) and an architect and interior designer (Flow). I have seen one or two of these pictures floating around on Pinterest but today was the first time I saw the whole loft and wow what a great space. The loft is built around a wonderful open courtyard that lets light into all of the rooms. 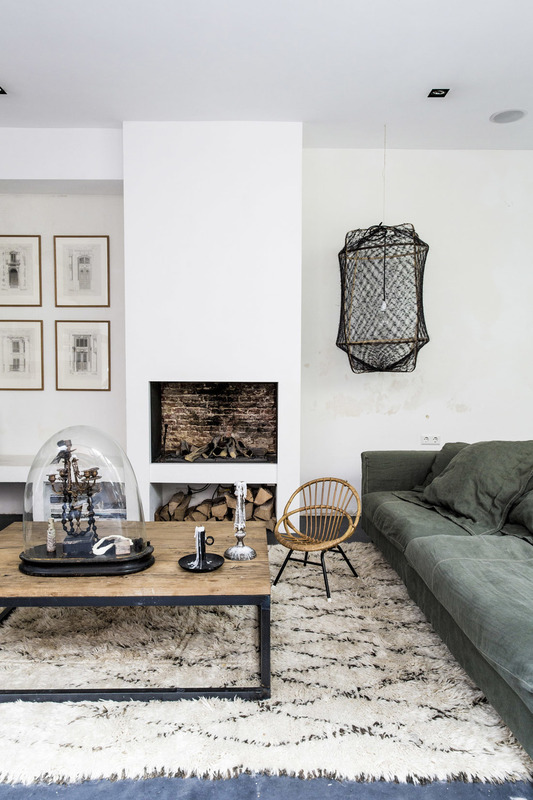 The brick wall, the industrial feel and the natural materials used in this home all work so well together. This is really one of my favourite homes I have seen in a while....the kitchen is really perfect and with that amazing chandelier.... Very inspirational.